Nigeria imports petroleum products, not because it doesn’t have refineries but because the 3 refineries it has – in Port Harcourt, Kaduna and Warri – do not supply enough to meet demand. If that had been the case alone, it would have been manageable but some of the refineries don’t even work at all. One of such is the one in Kaduna which has remained dormant for months without refining any crude oil. The refinery is being managed by Nigeria National Petroleum Corporation, NNPC. The corporation, in its latest monthly oil and gas report for June 2018, had bad news as far as its finances are concerned. The company said its group trading surplus dropped from 18.11 billion naira in May to 7.15 billion naira in June this year. This implies that the oil firm lost 10.96 billion naira in terms of its trading surplus within one month. Findings showed that the firm, however, posted a positive 2018 year-to-date trading surplus, as it made 69.31 billion naira within the six-month period. 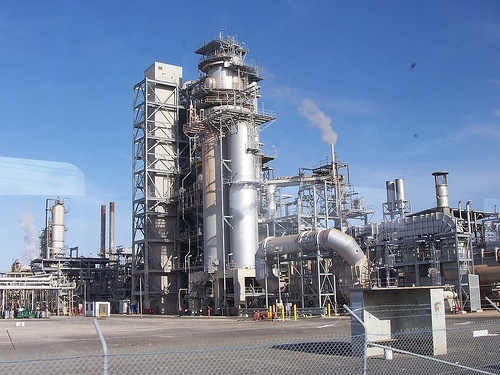 An analysis of the performances of the refineries showed that the Kaduna refinery received 78,833 metric tonnes of crude in the months of May and June this year. It, however, processed no drop of crude oil in the two months, as its capacity utilisation was given as zero per cent. So, where did the allotted crude go?